The Zayt Zaytoon concept relies on total freshness, traditional recipes and exquisite taste in a pleasure-filled environment. 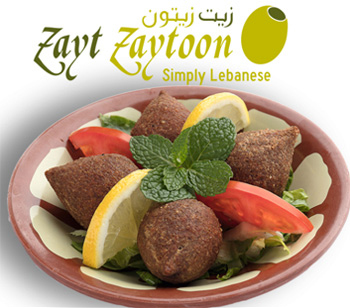 Zayt Zaytoon has been serving Lebanese delicacies made with authentic ingredients for over 15 years. The restaurant has made a name for itself by offering authentic Lebanese specialities. Zayt Zaytoon currently operates five full-service restaurants in prominent locations such as Bahrain Exhibition Road, Budaiya Highway, Riffa, Arad and Isa Town. It also provides catering services for reputable clients in compatitive prices in Bahrain. Despite the increasing competition, Zayt Zaytoon’s commitment to become a leader in the Lebanese restaurant segment and establish itself as one of the leading casual dining concepts in Bahrain is unwavered. With complete dedication to preserve its reputation of excellent service and captivating mouth-watering dishes, Zayt Zaytoon is in the process of deriving and implementing strategies that will reinforce its position in the market.